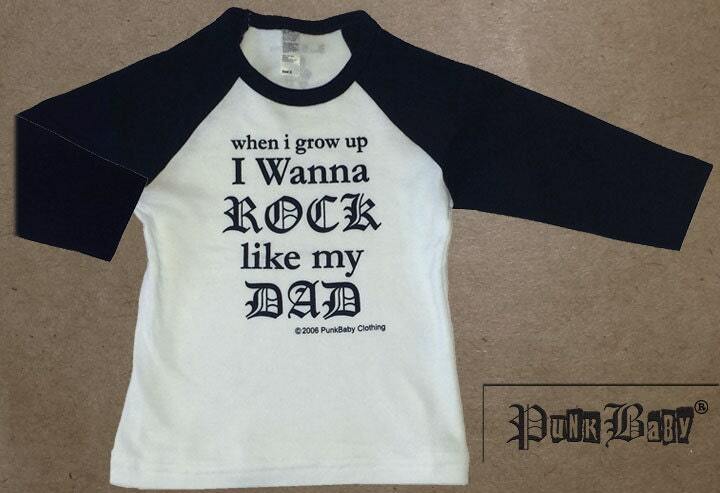 "I Wanna Rock Like My Dad" tee, for wee ones with more style than the average tot! - Perfect for the little one that wants to rock like their Dad when they grow up! Punk Baby® babies were born to rock and to be rocked- since 2006!